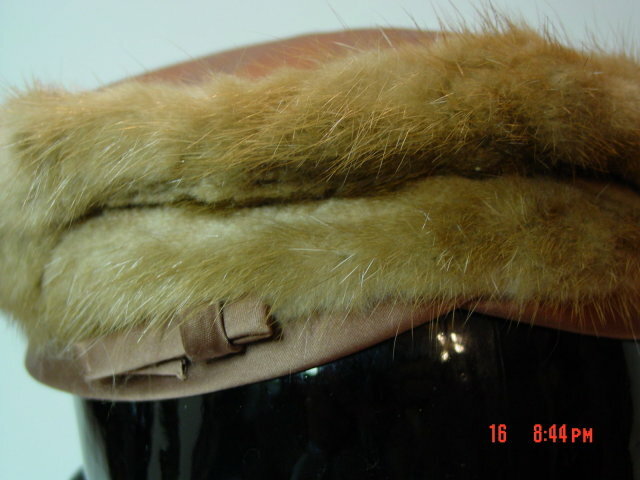 Vintage ladies medium brown mink fur pillbox hat edged in brown satin on the bottom, a Noreen Fashion label. 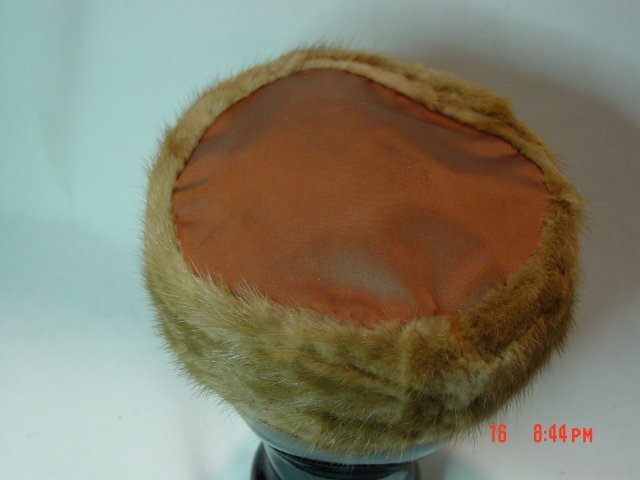 The interior band measures 20-3/4". 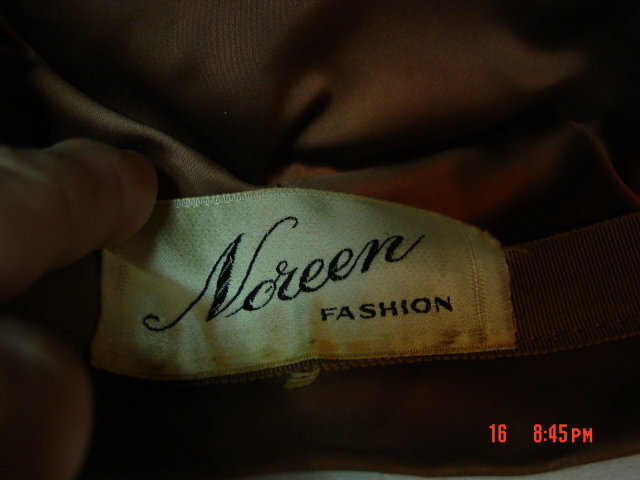 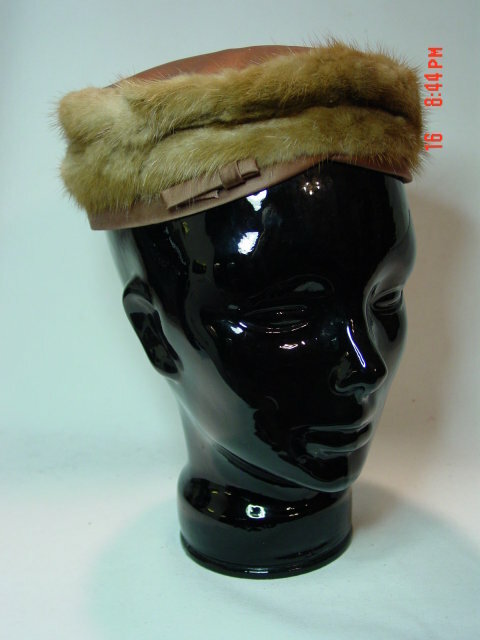 Items Similar To "Vintage Brown Mink Fur Pillbox Hat by Noreen"